No Margy ,,,i carnt but i might if i new what songs they use to sing ..? can you list a few please .. I vaguely remember the name, and recognise most of the faces.....including, I think, a regular on these boards? offthewall wrote: I vaguely remember the name, and recognise most of the faces.....including, I think, a regular on these boards? Thats not a young Jimmy sitting in the front is it ..
Have a look at the one on the 2nd right. no actualy ,,i mean that actor..whats his name .. ?? something defuss ? anna wrote: no actualy ,,i mean that actor..whats his name .. ?? something defuss ? ..anna, could that be Richard Dreyfuss? where would i be without ya Champ !! 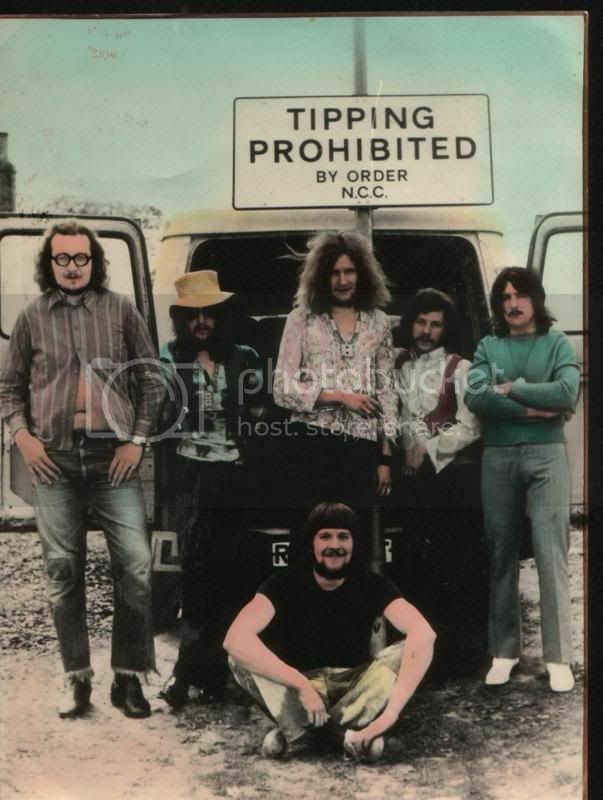 I saw Raw Spirit at The Locarno, Sunderland in 1971, and in 1972 at an open-air concert at Jarrow (six bands including Colonel Bogie, Buffalo, Kestrel, Gin House (I think), Raw Spirit and I've forgotten the other band. I saw them at The Legion (twice) in early 1975, at the Top Club in summer 1975, and again at the Top Club in early 1976 (with a new line-up). I guess they split after that as I didn't see them again.